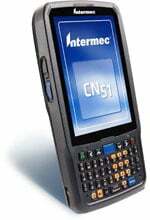 Intermec CN51 - QWERTY keypad, EA31 imager, 5MP camera, Windows Embedded Handheld Professional 6.5, CDMA/UMTS/HSUPA WAN, English only. Interface cables and charging cradle sold separately. Single charging cradle (Part# 871-033-021). Requires Power supply (Part# 851-810-002) and AC power cord (Part# 1-974028-025). Quad charging cradle (Part# DX4A2555510). The Intermec CN51 is the most versatile mobile computer in its class allowing the choice of Android or Windows operating systems, along with a large, resistive multi-touch display and a power-packed 1.5GHz dual core multi-engine processor and state of the art battery. For enterprises who continually strive to provide a superior customer experience while balancing cost reduction and business growth, the CN51 is the class-leading mid-range rugged mobile computer that empowers mobile workers with the resources to satisfy and delight customers efficiently today and earn new business tomorrow. Unlike the performance limitations of smartphones and competing mobile computers, the CN51 is the only rugged yet ergonomic solution with the versatility to support both the Windows Embedded Handheld and Android 4.1 operating systems, and deliver the benefits of a rugged solution such as superior battery life, excellent system performance and reliability. Desktop Single Dock for CN50/CN51. Requires the power supply (Part# 851-061-502) and country specific AC power cord. Desktop USB Adapter, Compatible with CN51. 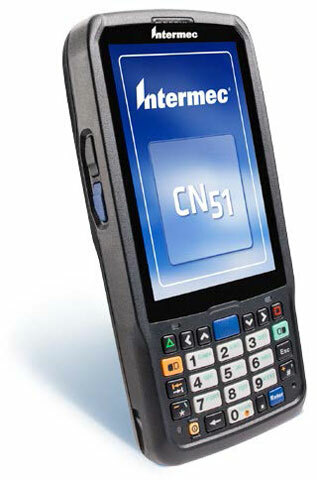 The Intermec CN51AQ1SCF1W1000 is also known as Intermec Technologies	INT-CN51AQ1SCF1W1000	.